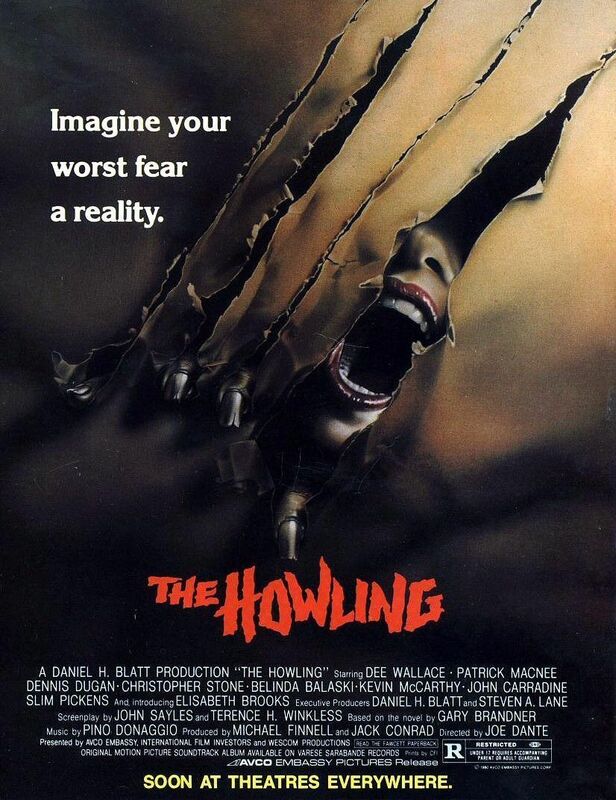 Based on an okay pulp novel The Howling came out close to American Werewolf in London and in the middle of a clump of “werewolf” films that also included the grossly underappreciated Wolfen. In its way it maybe the best of the bunch. The film has a TV reporter played by Dee Wallace, trying to find out about a serial killer. When meet up goes wrong and the killer is killed, Wallace is emotionally broken. Sent to recover at private center with her husband, things rapidly go wrong because she has been brought into the middle of werewolf country. A wonderful throwback to the sort of film they had stopped making years about 20 years earlier, this is Joe Dante operating at the top of his game. A wonderful mix of monsters and laughs the film manages always to be tense. You will be on the edge of your seat. People always talk about how good Rob Bottin’s make-up is, but they wouldn’t have the same effect if the script, cast and direction weren’t half as good as they are. It’s horror film lovers delight with some reall scary moments. The Howling rocks and while most people have seen it over the years on TV there aren’t many now who have seen it on a big screen. If you’ve never seen it big you have to make an effort to see it at Fantasia since it plays so much better huge and in the dark. Trust me.